Eat your veggies in bread form! This is a lighter version of your traditional zucchini bread. Preheat oven to 350 degrees F. Butter and flour bottom and sides of a loaf pan. In a medium sized mixing bowl, sift together flour, baking powder, baking soda, salt, cinnamon, ginger and clove; whisk in brown sugar until combined. In a large mixing bowl, whisk together eggs, yogurt, oil, vanilla and orange zest until well combined; whisk in zucchini, carrot, coconut and raisins until combined. Stir in flour mixture until just combined. Scrape batter into prepared pan, and bake for 45-50 minutes or until deep golden brown and set. Cool on a wire rack for 30 minutes before removing. 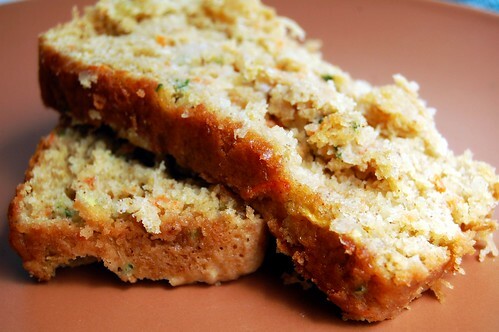 41 comments on "Garden Carrot-Zucchini Bread"
Oh YUM! I just made zucchini muffins for breakfast this morning. This bread looks fantastic. Mmmm. Your pictures are so great, but I think it helps a lot that all your food turns out beautifully to start with. Talent, that's what you've got. And I have to say there are a bajillion things you can do with zucchini from stuffing to frying to grilling to baking etc. Mmmm. Zucchini. I can't wait until our yellow ones come in. wow, this sounds fantastic, its just the kind of thing i love for breakfast! Carrots...that is an interesting twist! Looks good! 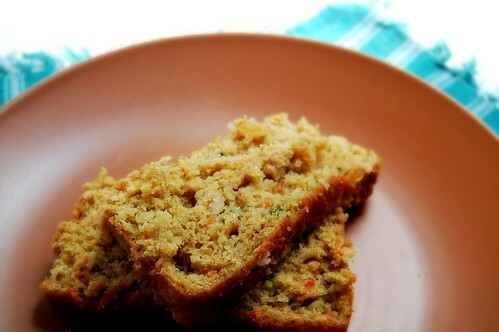 I love zucchini bread, I love carrot cake, what a wonderful idea to combine the two! Your bread looks absolutely delicious, and I definitely want to try this recipe very soon. 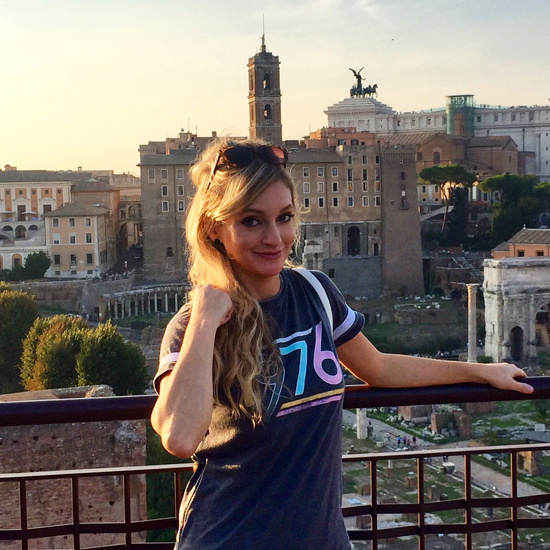 Thanks so much for sharing it! Oh man...I just made Zucchini Bread last night :o( I wish I would have seen your recipe before hand...it looks so tasty!! I may just have to make another batch! All of my favourites here Emiline. Also I think next to my immersion blender my microplaner is my my favourite kitchen gadget. Recipe sounds really good Emily! My mom brought home some zucchini from work so this looks like the perfect way to use up some of it! YUM! 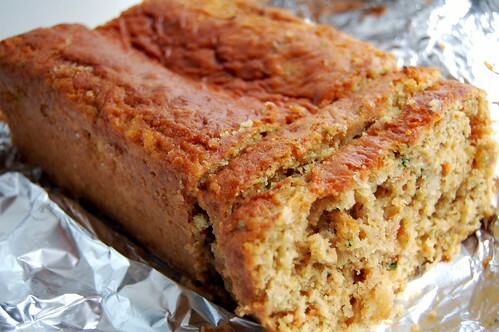 I like the use of both the zucchini and the carrots in this bread! You're too sweet! You are soooooooooo welcome. The version on the Abandoned Luncheonette album (YES, I said album!) is actually better than this, but you can get an idea of how classic this song is. PS Kenny wouldn't be so bad, if he didn't look so badly embalmed. This looks fantastic, and I have all the ingredients on hand. I have plenty of carrots left over from my carrot cake. I would love to make this tonight so I could enjoy a piece of breakfast tomorrow! The bread looks so moist! Yum! awww, your new pic is so cute! Beautiful! 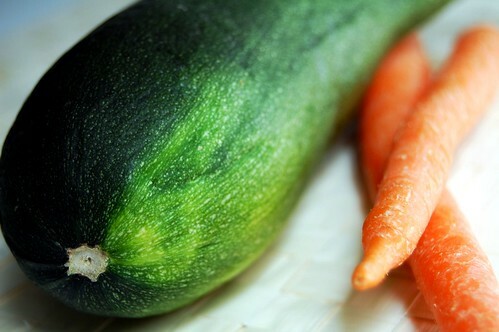 Love the carrot and zucchini together. So lovely! SUE! AHHHHHaaaaaa! I love it! It's so bad! Love all the ingredients in this lovely bread. I'm always looking for new ways to use zucchini. Omg...this comes in perfect timing for two things: My sister in laws visit and the farm across the street opening finally!!! I'm going there tomorrow and getting some nice fresh zucchini Thank you! Zucchini bread?? wow..it looks wonderful! Aren't microplanes the best! Glad to hear you have one. Lucky you to have a garden of zucchini growing - I have always wanted to try stuffing zucchini flowers, but wouldn't have the faintest idea where to buy them. This bread looks delicious - I'll take your word for it that it tastes like Christmas in summer. This bread looks very lovely! Great eh,..excellent for a pic-nic! The bread looks delicious. I like that you used many spices, sounds great. I love my microplane....I'd be lost without it. I also used a cheese grater before and can't believe how much easier it is with a microplane! I love zucchini in all forms, especially bread. Adding carrots is a great idea! It's the time of year everyone is blogging about zucchini... I just posted quinoa stuffed round zucchini a couple days ago! Isn't the microplane awesome? I work at a kitchen store, and we're constantly selling out of them! I've never added carrots, great idea! Looks great! Love the zucchini bread, and especially the coconut and spice combo you have. Orange zest just makes everything better, dontcha think? I love this bread. I have an eerily-similar zucchinu carrot bread recipe myself. So I can totally imagine how yummy it is! Verdict: It is good. Thank you. It looks really good but for some reason I've never been a big fan of zucchini bread . . . although I think I've only eaten my mother's so maybe it's just hers that I don't like? This is so healthy looking! I never new this about Zucchini? So, I will be eating and ovary, yum! Yum to the bread. I'm kickin' myself for not throwing some zucchini seeds in the ground this year! This is my kind of zucchini bread! Just what I was looking for. I made a few adaptations to match what I did (or didn't ) have in my kitchen. I substituted 1/2 cup flour for whole wheat flour, added two small diced green tomatoes,used dried apricots instead of raisins, and added 3/4 cp chopped walnuts. Stop there and it is nice and healthy. But no, I decided to bake this in a cake pan, and added a cream cheese frosting flavored with an orange liqour. Then I grated a medium carrot, and boiled it down with 1/4 cp.orange liquor, 1 tbs. butter and two tbs. sugar until it was thick. I spread that on top of the frosting and sprinkled a few mini chocolate chips over the whole thing. It was for an employee party and it went over really well! Looks great! I have zucchini and carrots in my fridge just begging to be used. I think I'll make this tonight! Thanks! Ok, So, I am not much of a baker...but I know what I want to eat. I LOVED your recipe compared to so many others because it left room for substitutions. I used 1/2 c. greek yogurt and 1/2 c. applesauce, 1 c. zucchini, and 3/4 c. dried orange flavored cranberries. BEST BREAD EVER. Thank you so much for this winner recipe! !